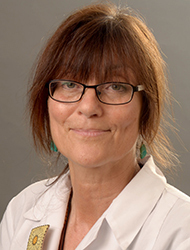 Brenda Loew is an adjunct faculty member at Bastyr Center for Natural Health and teaches post-graduate continuing education classes at Bastyr University. She sees patients in her private family practice in Seattle and volunteers at the Seattle Acupuncture for Veterans clinic. She is an authorized Toyohari Meridian Therapy Instructor, an instructor for the Japanese Acupuncture Institute, LLC, which she co-founded, and she teaches Japanese acupuncture at various venues throughout the U.S. and Canada. Brenda is the assistant editor of Keiraku Chiryo: International Toyohari News (2005-present). Brenda specializes in gentle Japanese-style acupuncture, primarily Toyohari Meridian Therapy, Manaka Yin Yang Channel Balancing Therapy and Shonishin pediatric acupuncture. Her other interests include meditation (she completed a yearlong meditation retreat in 1988 and attends meditation retreats regularly), tai chi, research, studying acupuncture classics, community service, teaching and writing. She is happiest when engaged in dialogue with practitioners and students on how to make the ancient wisdom of the ancestors come alive in our modern times, and she is passionate about humanity’s relationship with nature. Brenda’s healing philosophy is, “When the body is in harmony and its energy is balanced, we will feel at ease … ” and, “All medicine is Love” (as quoted from one of her mentors, Yanagishita sensei). Brenda completed an internship at Zhejiang College of TCM in Hangzhou, China, in 1991, the year she became licensed in Washington state. She taught the acupuncture section of the Complementary Medicine survey class at the University of Washington Medical Ethics Department from 1997-2007. She completed the Toyohari basic training program in 1996 and has been traveling to Japan almost annually since then for advanced training in meridian therapy with senior instructors in the Toyohari Association; she completed the first Advanced Toyohari (two-year) training program in Amsterdam in 2005. Brenda has been authorized as an instructor in the Toyohari Association since 1998 and served as president of the Toyohari Association of North America from 1998 to 2012; she continues to serve as president of the Seattle Branch of the Toyohari Association. Brenda received her master’s degree in acupuncture from the Northwest Institute of Acupuncture in Oriental Medicine, where she also served as faculty from 1994-2002. She is a member of the Washington East Asian Medicine Association (WEAMA), North American Society of Acupuncture and Oriental Medicine, the Toyohari Association (Japan and North America), the International Association for the Study of Traditional Asian Medicine (IASTAM) and she is a licensed diplomat with the National Commission for the Certificate of Acupuncture & Oriental Medicine (NCCAOM).